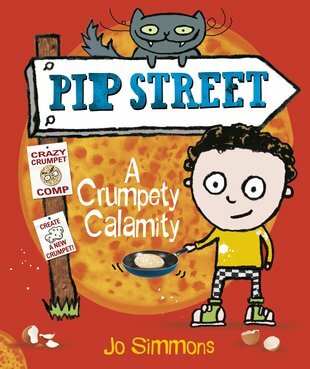 If you love Mr Gum, check out this book: a wickedly funny tale of crumpets, rivalry and revolution! When Bobby’s dad takes over a local crumpet factory, Bobby breathes a sigh of relief. No more moving! He likes it here on Pip Street, especially with his fizzy new friend, Imelda, next door. There’s only one problem. Crumpets are boring! No one wants to buy them. That means Bobby’s dad will lose his job – and that means moving again! Someone, ie. Bobby, needs to dream up a fantabulous masterplan to make crumpets exciting. But meanwhile, another new boy across the street is trying to cosy up to Imelda. Can Bobby put this new rival in his place and start a crumpety revolution? Can you help Bobby find Conkers?